Painting a wall is perhaps the easiest yet most impactful way of transforming the look of a room. So if you’ve been considering refreshing your space for a while, make 2019 the year to do it! 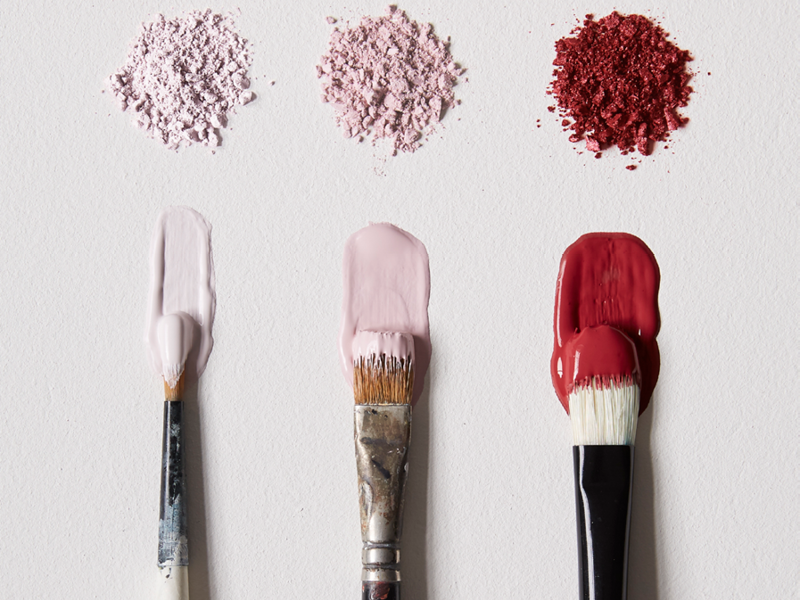 Unsure where to start when it comes to picking the right colour? We’re laying our colourful cards on the table and predicting which colours are going to be hot for 2019! At Earthborn, we found that earthy tones reigned supreme during 2018 (we’re looking at you, Humpty Dumpty and Rocky Horse). From softly muted neutrals to bolder shades, these are the colours that create a warm, relaxed feeling in virtually any room type. The popularity of these paint colours over the past year have shown us that customers are gaining colour confidence, so our trending colours for 2019 are set to be a palette of nature-inspired shades with (mostly) warm undertones. Take a dip! This year we predict that fresh, evergreen shades will regain popularity over the more muted grey-greens prevalent over the last couple of years. 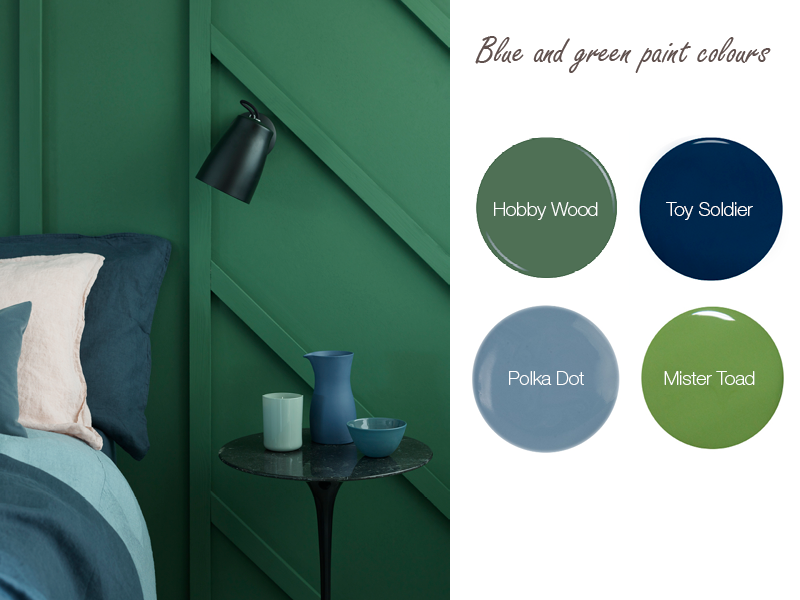 Pair true blues and glorious greens like Polka Dot and Hobby Wood for a contemporary, joyful look. The popularity of pink shows no signs of waning! Cupcake and Rosie Posie have proved two of our best-selling shades for 2018 and we expect this to continue for next year. We’ll also see earthier tones and deeper reds like Can-Can become more prominent in homes through the next 12 months. Perhaps our ‘most-wanted’ colour for 2018, Humtpy Dumpty is an earthy mustard-yellow tone. We expect this new-found ‘zest’ for yellow to gain momentum over the next year and predict the saturated tones of Daisy Chain will find its way into the homes of many of our customers. In response to the bold, earthy colour palette that’s become so popular over the last 12 months, we expect to see our neutrals warmed up a bit too. Think creamy whites or sophisticated grey; those soothing, ‘whisper’ tones that truly enhance a space. Rich, relaxing shades like the deliciously toned Peach Baby and soft duck-egg Smidgen have been top-sellers over the last couple years now, and we predict that blush, grey and putty will continue their popularity in the months ahead. 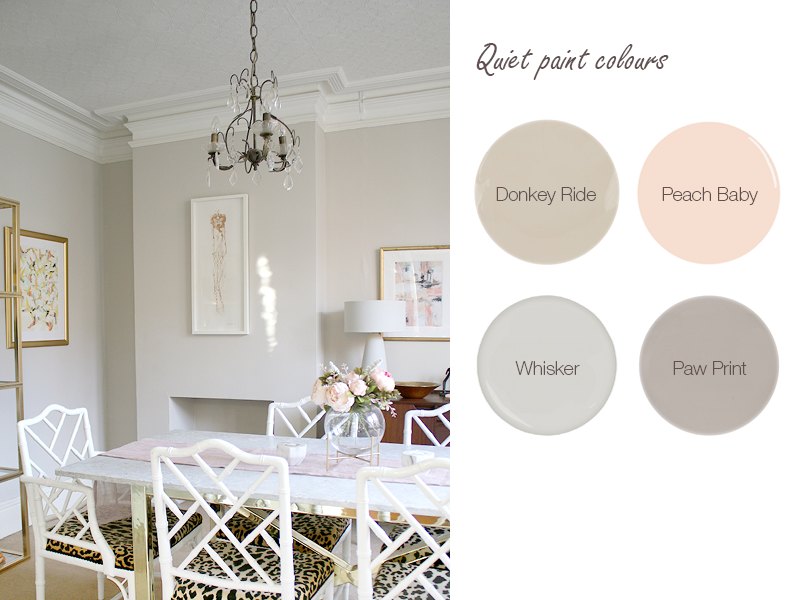 Just take a look at Swoonworthy’s stunningly beautiful dining room painted in Donkey Ride! And for more inspiration, head to our Instagram for this month’s dreamy palette of new year neutrals. Which colours are you planning to use this year? If you’re still unsure, order a beautiful Earthborn colour card paint with real Claypaint here.